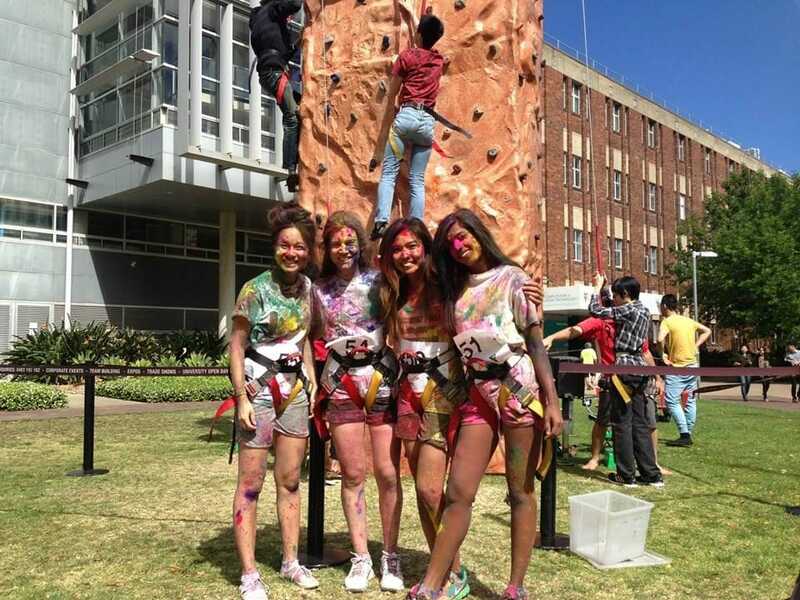 Make your next O week or TAFE open day a success by hiring the biggest Mobile Rock Climbing wall, to draw in the crowds and entertain students of all ages. Rock Climbing is a unique experience that provides an ideal way to break down barriers, build relationships, start conversations, and of course to share in some fun. 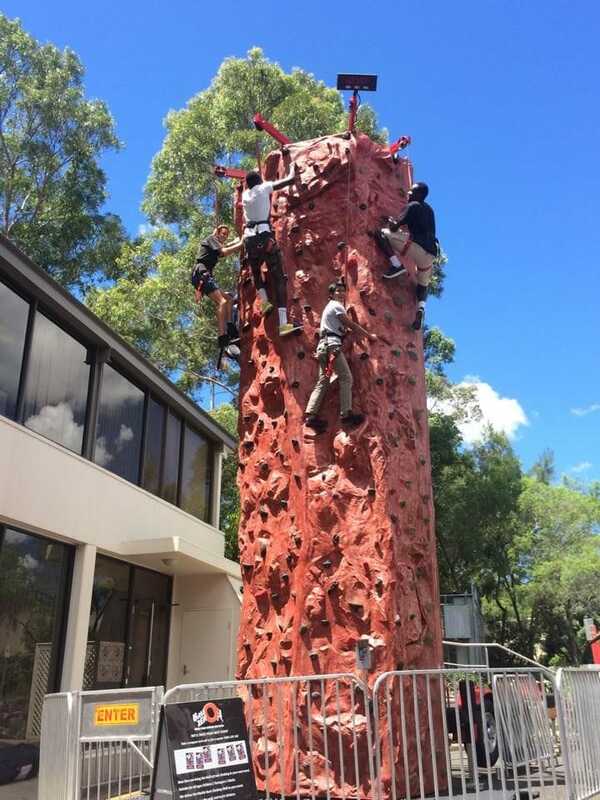 A Portable Rock Climbing tower is a huge hit at University Open days. It's a thrilling adventure activity and has been the stand out attraction at 1000's of events over the last 10 years. 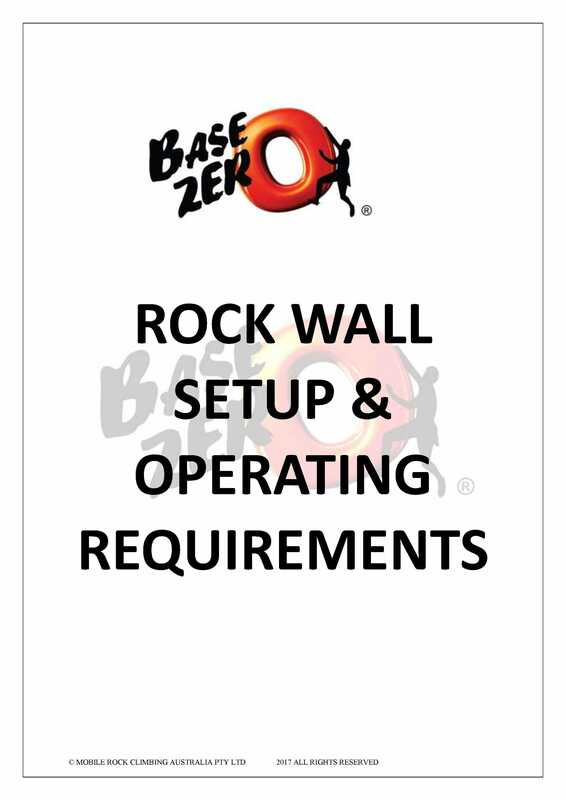 The Base Zero Mobile Rock Climbing Team are Adventure Event Specialists. 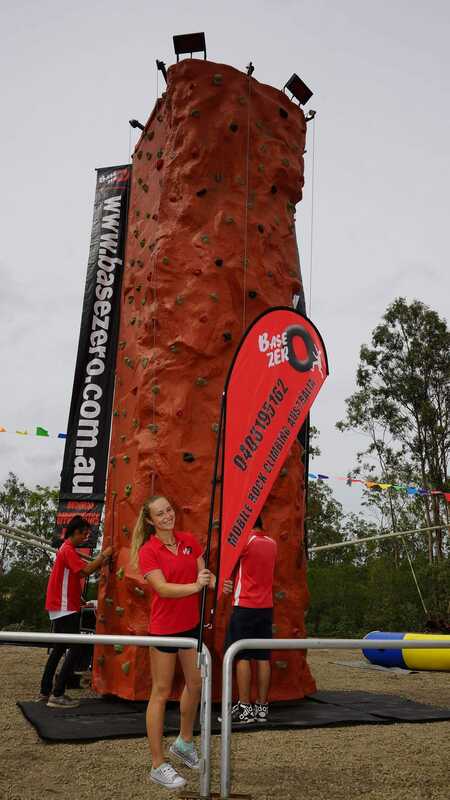 Our huge 8m interactive Mobile Rock Climbing Tower has been easily set up and operated by our professional team. 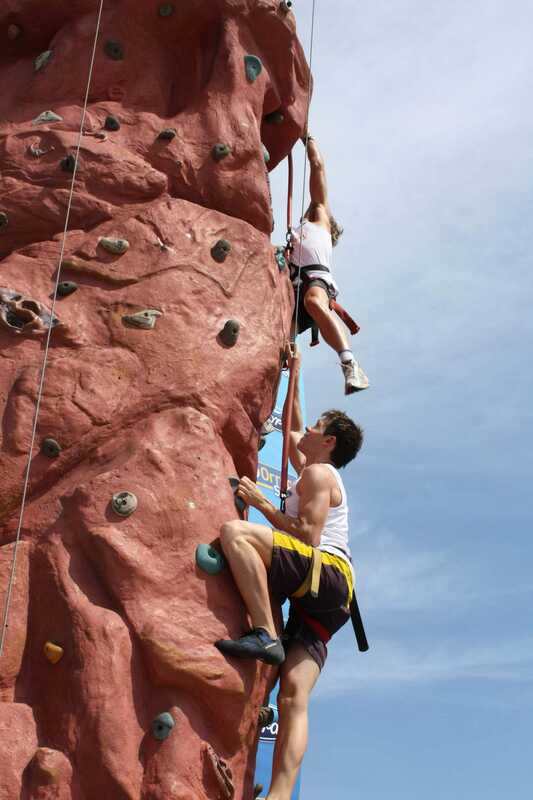 Bringing the thrilling excitement of Rock Climbing to many well-known Universities. Our experienced professional team operate the wall and ensure the safety of all climbers.